Home / The Buzz / Alfie, Arthur & Deru – The Ginger Geeksters! 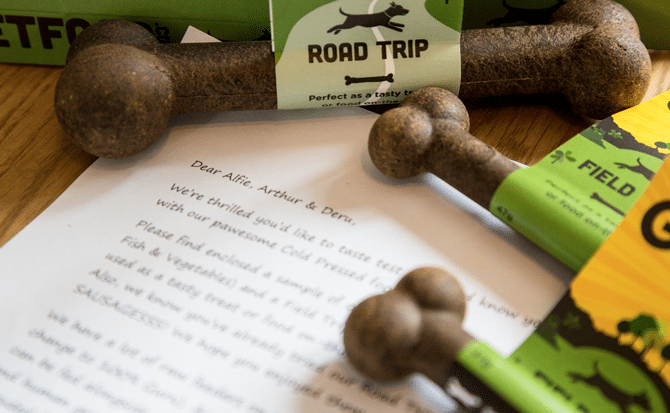 Alfie, Arthur & Deru – The Ginger Geeksters! 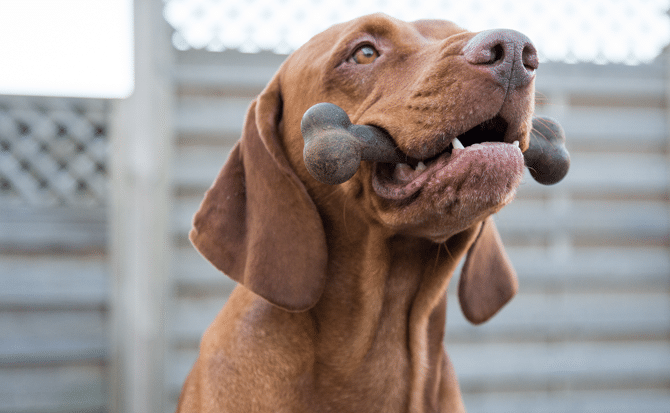 Do you like to feed your dog species appropriate treats? Do you feed in accordance with their diet if you feed raw? Or… do you just buy whatever is on offer in the shops? We must admit, in the past we have just picked up whatever is on offer in the supermarket (I feel like I’m swearing saying this now) However since switching to raw we are always now on the hunt for some tasty treats which go hand in hand with the boy’s diet. 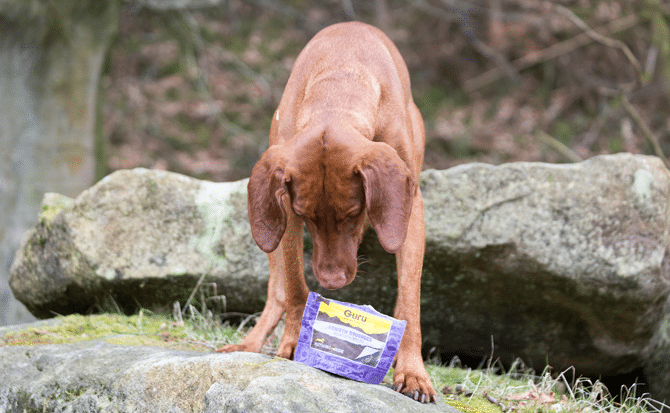 Luckily, we came across Guru Pet Food, some pretty pawsome cold pressed food and scrumptious snacks to go with. Since doing more photography with the boys I feel like we need something that is tasty to keep their attention for longer but not something that’s going to fill them up or bloat them. Alfie and Arthur are easily pleased when it comes to food, Deru on other hand isn’t too fussed over a run of the mill gravy bone, chicken or beef for that matter. His tastes are much higher acquainted! So, when we came across the Venison Sausages we knew we were on to a winner. And, I am pleased to report they did not disappoint, Deru could not take his eyes off them and Alfie couldn’t wait to get in the packet. Arthur being an absolute foodie was hooked too. 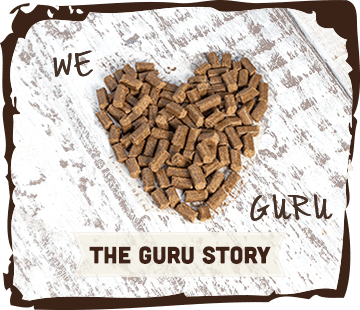 Guru’s food is made by being cold pressed, which means they are one of the only foods that can be fed alongside a raw diet. This was another great pointer that appealed to me as I knew it would make life so much easier when it comes to the boys going on vacation, having the option to switch straight to the Full on Feast and not having any tummy upsets or switching over period is just great! Since trying out the duck, fish and vegetable recipe alongside the boy’s current raw diet I would be 100% confident on switching them to this on a permanent basis. I feel like this is a huge statement for me as after feeding raw for a few years now, I’ve always said I would never go back to a dry food as we always seemed to have a struggle with skin allergies and weight loss in Alfie’s case. We also treated ourselves to the Road Trip bones. These make the perfect on the road meal, or perfect as a tasty snack. Available in two sizes, road trip being perfect for the boys and the Field Trip bones perfectly suited for those smaller paws. 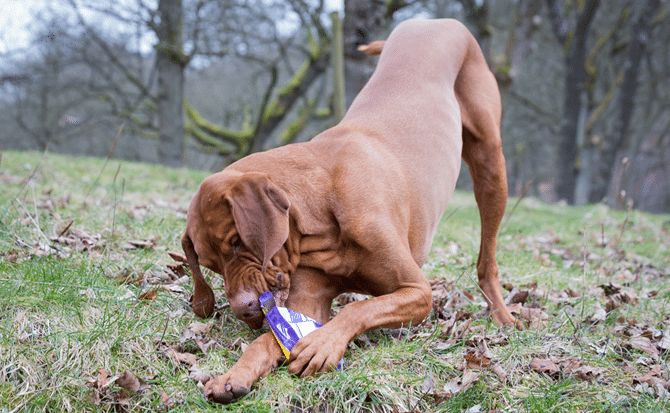 Once again made with all-natural ingredients and being cold pressed, it’s the perfect on the go meal as an alternative to carrying round 3 dogs worth of frozen food. (I know you’ll agree with me here, we’ve all had those occasions where you just don’t have the freezer space on vacations) I must admit, I did have my concerns about these but once again was pleasantly surprised; no bad breath or smelly stools and, they’re just so easy. 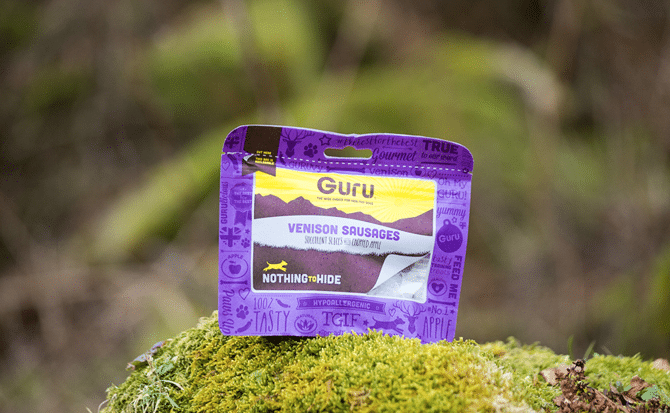 These complete meal bones can even be used as a meal replacement, so forget your Guru bites and feed a bone for breakfast, switch it up a little. I’ve often thought about using the bites as treats instead, if they love it then why not? Keep meal times interesting. I have found that bones are the perfect way to get the boys settled down, whether it be whilst working from home or to help them settle whilst on vacation; with that in mind we will definitely be placing our order of Road Trip bones for our doggie vacation to the Lake District in May, so stay tuned as I’m sure we’ll be sharing our adventures with you once more. 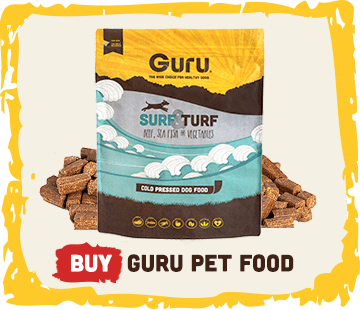 We have found Guru to be a huge help if you have any questions about switching to their food too, the website is so user friendly, it even has a handy food calculator on there to help you out, don’t want to be over feeding now. The part we have loved about trying out Guru the most is the social media. 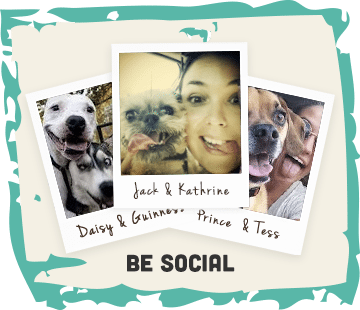 (We all know Mum’s snap happy anyway so having the opportunity to share them is just too much) The Guru family is such a fun family to be a part of, they’ve even named the week days to theme their photos… #TripBoneTuesday #WoofWoofWednesday. And not forgetting to mention the personalised samples and letter addressed to the boys, LOVE it! 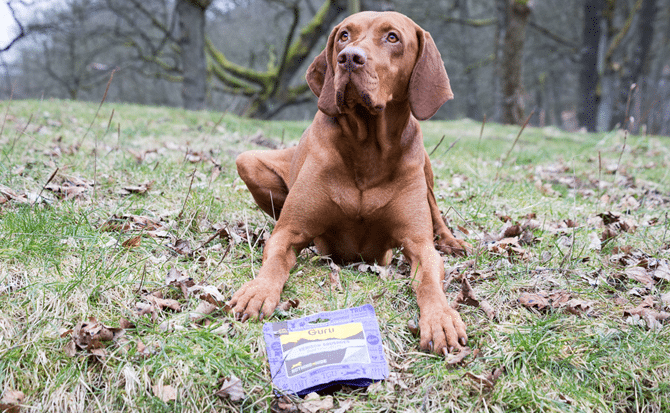 You know that we only recommend brands that we know and love so why not order yourself a trial pack and see for yourself… trust us… your dog will thank you for it.